Have you ever wanted to be the MC of your own YA romance novel? Experience all those ups and downs — the heartache of a breakup and the the thrill of the makeup? You’ve read about butterflies in bellies, hearts pounding in chests, and blood rushing to, well, lots of places, and you want to feel all those feels for reals. We know you do. 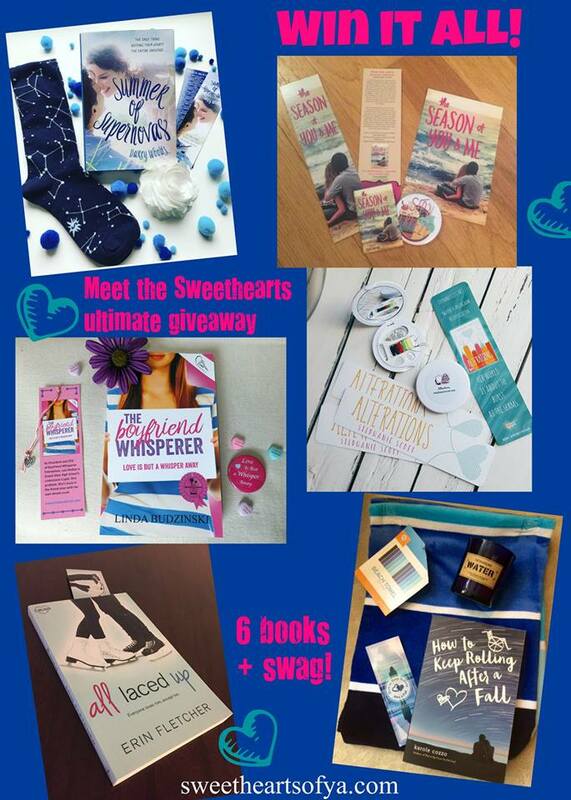 So … welcome to the Sweethearts of YA first-ever contest and giveaway, where you get to star in your very own YA romance novel! We know you’re a fabulous main character — strong, smart, and sassy. You don’t actually NEED a hero … but it wouldn’t be much of a romance without one, now would it? So who will yours be? We’ve put together a video of some of the most time-honored YA hero tropes to help you find out. Click “play” and find your YA Hero Match! (Optional) Subscribe to our site. All you need to do is fill in your email and click the button. You don’t have to do this to win, but we highly recommend it, because we’re going to have contests every month, plus fun weekly posts, and we don’t want you to miss any of them! That’s it! We’ll collect the eligible tweets and select one of you at random as our winner. So, have fun finding your YA hero and be sure to enter to win. We’ll announce the winner here on May 4. Good luck! UPDATE: We have a winner! Congratulations to Kate! Thanks to everyone who participated. We hope you had fun … we loved reading all your Tweets. Would Younger You Be Impressed? I love this question, because I’ve thought a lot about what grown-up me would say to teen me if I could go back and do those years over again, but I’d never stopped to think what teen me might have to say to me now. One thing I’ll bet she’d say is the same thing I’d tell her: Don’t be so hard on yourself. The thing is, most of us tend to beat up on ourselves in ways we would never do to our friends or even complete strangers. In THE BOYFRIEND WHISPERER, my main character, Lexi, helps her classmates find love. In doing so, she becomes a cheerleader for them, reminding them of who they are and why they deserve to love and be loved, yet she gets down on herself for being unable to snag her own dream crush, telling herself things she would never tell her clients. She basically does that destructive thing so many of us do inside our own heads where we convince ourselves we’re not good enough. Think about it. What would Past You (or maybe Future You) have to say to you now? Sure, there may be some tough love, maybe even a bit of eye rolling, but I’ll bet you wouldn’t beat yourself up the way Present You does sometimes. So … what would 16-year-old Linda (yes, that’s her up there, rocking the bangs) think of adult Linda? Back then, I believe I had three main interests: boys, music, and my friends (though not always in that order). So how am I doing? So, yeah, I get a passing grade in that department. Next, MUSIC: Here’s where teen me might want to puke a little bit in her mouth. Nowadays I have a much broader appreciation for music (i.e., I catch myself dancing around the kitchen to stuff I wouldn’t be caught dead listening to at 16). But you know what? I was kind of pretentious about my music selections back then, so I’m okay with that. Finally, FRIENDS: I’m guessing teen me would be shocked at some of the people from high school I am now friends with on Facebook. So many of those high school insecurities that were the genesis of the all the clique drama are gone, and (who knew?) my classmates for the most part have turned out to be more than their labels and their crowd and their reputation. They actually have individual personalities and layers. So would 16-year-old me be impressed with current me? I’m not sure. She was not easily impressed. But she’d probably give me a hug and tell me that even though I am kind of boring and lame and way too pro-establishment, she’s glad I’m happy and doing what I love to do. What about you? Would Younger You be impressed? Welcome to the first edition of “Ask the Sweethearts,” where we share our thoughts on all sorts of fun topics. To kick things off, our first question is (of course): Why YA romance? What do you love about it and why do you write it? Erin Fletcher: The reason I write YA romance can be summed up by a quote from the movie 17 Again (yes, I’m a Zac Efron fan! ): “When you’re young, everything feels like the end of the world. But it’s not; it’s just the beginning.” That quote reminds me that when it comes to first love, the highs are so much higher and the lows are so much lower than they ever will be. Writing (and reading!) about those extremes is the best. Darcy Woods: Hands down, no other genre tugs my emotional strings the way YA romance does. I get all swept up in the rawness, the heart-hammering excitement, and the beauty and tragedy of life’s exquisite firsts. I’m transported to a time in my life that was simpler … and infinitely more complex. Because, let’s face it, figuring out who you are is one of the toughest things you’ll ever do. And do again. So having the opportunity to reconnect with that pure, earnest hopefulness — so often smothered by the responsibilities of adulthood — it is the greatest gift. Stephanie Scott: I guess you can say I’m a Shipper. Going back to my first TV fandom, The X-Files, I “shipped” Mulder and Scully — a pretty classic pairing. I lived for the moments the two would find themselves in close encounters while investigating … close encounters. The light teasing. The lingering touches. (But let’s forget the whole late-series alien love child.) My favorite is when you first see that spark in an underdog character, someone quirky, and you just want to pair them up with your favorite hero/heroine. I love all the off-canon pairings in the Harry Potter universe. You’ve got your classic Harry/Luna and then the totally unthinkable “Dramione,” aka Draco and Hermione! Now there’s a challenge: turn Draco Malfoy into a classic romance hero. Robin Constantine: When I first started writing young adult, I never intended to write romance. I loved writing YA because I enjoyed looking at the world through a teenage lens. High school years can be dramatic, cynical, chaotic, silly — on the one hand you’re trying to figure out what you want to do with your life, and on the other hand you’re wondering if your crush will ever notice you. Everything is heightened — it’s built-in tension. As my craft evolved, I found that the spark that drew me to put pen to paper in the first place really came alive when I would write a scene between two people who were interested in each other. I would set out to write something dark and edgy then find myself getting swept away in the scenes that involved meet-cutes, and near-miss kisses, and awkward-but-full-of-potential moments and just falling in love with the process of developing a romance/relationship arc. That’s when I realized there will always be kissing in my books. There will always be a happily-for-now ending. So, as corny as it sounds, I think in a way, YA romance chose me. It’s what I naturally gravitate toward. 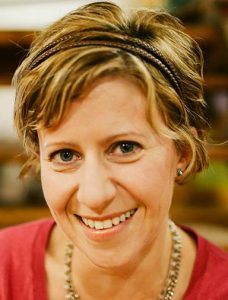 Karole Cozzo: Well, in part because I’m a school psychologist by day, character development always takes precedence over plotting, world building, you name it when I’m conceptualizing a story. My favorite part of writing is transforming a character over the course of a story in a manner that is authentic, meaningful, and thought-provoking. Adolescence is definitely a prime time for personality development and increasing self-awareness, so I love crafting stories within this stage of life. Young adults are wonderfully imperfect people! It’s definitely challenging, asking readers to embrace a character who may be far from lovable in chapter one and keeping them hooked to the point they come to like (or if not like, at least respect and root for) an initially flawed character. But it’s a challenge I enjoy and continue to take on in my stories. 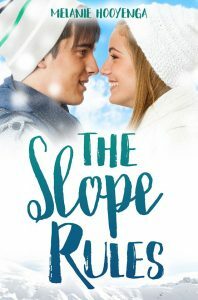 I’ve tackled some heavy subject matter in my books thus far – Autism, spinal cord injury, cyberbullying, disordered eating, etc, and I enjoy approaching them within the romance subgenre to add some levity, laughter, and ooey-gooey feels. Romantic relationships tend to teach us a lot about ourselves and our priorities, so it’s always felt natural to fuse the two. Linda Budzinski: YA romance comes naturally to me … I guess you could say I’m in touch with my inner teen. I remember so well those all-consuming crushes over a boy who may or may not like you back. (But, man, wouldn’t it be amazing if he did like you back? And if he did, maybe he’d ask you to homecoming. And if you did go to homecoming together, maybe he’d kiss you. But if he did kiss you, would it be sloppy or sweet or amazing or … anyway, you get the idea.) As a teen, I was super shy and awkward when it came to relationships. As a YA romance author, I get to make things as fun and messy and weird and exciting as I want, and in the end I get to give my hero and heroine a happy ever after. What could be better than that? What about you? Why do you love YA romance and why do you read or write it? Tell us in the comments! Do you have a question for the Sweethearts? Send it in through our contact form! Welcome! Pull Up a Chair! Preferably your favorite reading chair … and grab a cup of coffee, tea, or hot chocolate while you’re at it. Sweethearts of YA is a place where readers and writers can come together to talk contemporary young adult romance. If you like your YA sweet and swoony, this is the place for you! The six of us Sweethearts – Linda, Robin, Karole, Erin, Stephanie, and Darcy – write novels that have very different characters, in all kinds of settings, with a variety of “spice” levels, but our books have one thing in common: They all celebrate the magic of love and happily ever after. We hope you’ll make yourself at home and take a look around. Be sure to check out our bios, where you’ll learn important official facts such as our celebrity crushes and our guilty pleasures, and our books, with so many pretty covers you’ll start to swoon before you read a single word. And don’t forget to peek in at our news and announcements … we happen to have a few big ones right now! We’ll post here every Thursday, with a mix of group posts, individual posts, guest author posts, and … contests! Yes, every month (the fourth Thursday of the month, to be exact), we’ll post a contest with chances to win fun prizes, including our books, swag, gift cards, and more. Be sure to fill out the “Subscribe” box on the home page so you don’t miss a thing. Thank you for stopping by. Please follow us on Twitter and Pinterest, and leave a comment below to introduce yourself … we can’t wait to meet you!